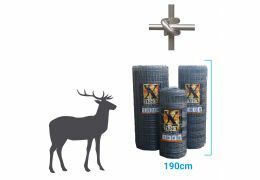 The Clipex Deer Beefy is a 3.0m long 14 clip post, designed specifically for all X fence 13/190 deer or boar fence mesh patterns allowing for one line of barbed, plain or electric above. All 13 lines are clipped to provide real strength and defend against any attention deer or boar may give the fence line. The Beefy has 230% more strength than a standard post and with 60% more surface area which give it better adhesion in the ground. 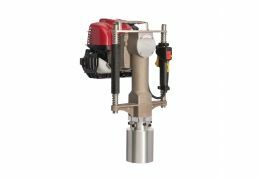 The Beefy can also be used on slight angles of 15 degrees or less or coupled with a deer StaYfast strut (CL2750) and a beefy bracket (CL2765) they make an economical end strainer, ideal for areas of low livestock or predator pressure, such as new plantations, woodland boundaries or gardens.